PennsylvAsia: New Taiwanese restaurant Lucky Nine 好運來 coming to Squirrel Hill. 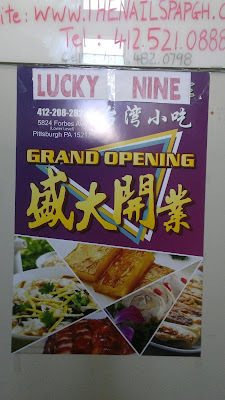 New Taiwanese restaurant Lucky Nine 好運來 coming to Squirrel Hill. 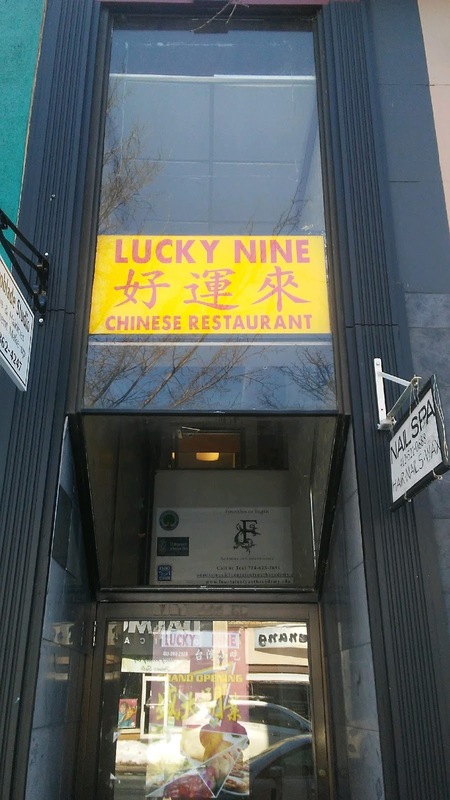 Signage just went up for Lucky Nine (好運來), a new Taiwanese restaurant coming to Squirrel Hill. It's located in the basement of 5824 Forbes Ave. (map), what was most recently The Mediterranean Grill. Though "Grand Opening" posters are up, it is not yet open. Lucky Nine will join two other Taiwanese restaurants, Rose Tea Cafe and Taiwanese Bistro Cafe 33, in the neighborhood.